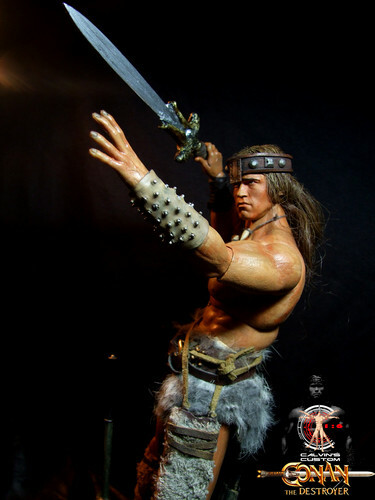 Calvin's Custom One Sixth scale Arnold Schwarzenegger Conan the Destroyer figure. Calvin's Custom One Sixth scale Arnold Schwarzenegger Conan the Destroyer figure. HD Wallpaper and background images in the Arnold Schwarzenegger club tagged: photo one sixth calvin's custom calvinscustom arnold schwarzenegger conan commando sabotage 1:6 calvinlo customizer end of days conan the barbarian conan the destroyer.